John Albert Kerley is an American author. He spent 20 years in a successful advertising career before writing his first book, The Hundredth Man. He currently lives in Newport, Kentucky, and is married with two children. He enjoys the outdoors, particularly fishing. Detective Carson Ryder returns, on the trail of a brutal killer with mysterious motives. Two psychologists are murdered 2000 miles apart – one in Phoenix, Arizona, one in Miami, Florida. Amazingly, both have noted down the name of Carson Ryder – a detective with the Florida Center for Law Enforcement who specializes in catching psychopathic killers. I have been a fan of Jack Kerley’s books since I stumbled upon The Hundredth Man a few years ago. I promptly bought the following books in the Carson Ryder series, and I flew through them. 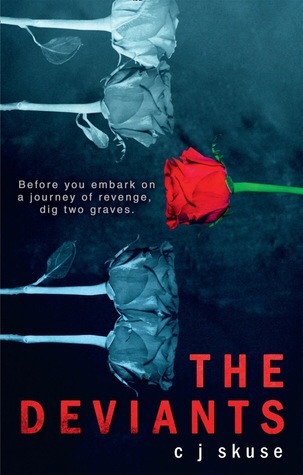 I was delighted to see that number 13 in the series, The Death File, was being published in October and I hopped onto Netgalley to read an early copy. Carson Ryder is one of my most favourite series leads. Along with Jack Reacher, Harry Bosch and Jefferson Winter, Ryder stands deservedly amongst these brilliant main characters and fits in perfectly. Honest, hard-working and dedicated, Ryder is a really excellent character to read about. Throw in his buddy, Harry Nautilus, and then it gets even better. Harry is his port in a storm, his true true north in terms of a partner. Harry is definitely the guy you want to have your back. In The Death File, Ryder has relocated from Alabama to Florida. Called to investigate the murder of a psychologist, things turn weird for Ryder when another psychologist is murdered in Arizona. The weird thing is his name has been found in the vicinity of the both of the deceased, and everyone wants to know why. The cases merge, drawing in some new and unsavoury characters into the mix. This leads to some scary situations for all concerned, and it ramps up the tension quite well. The plot is more intricate than I first assumed, and I found myself unable to weave the threads together until it was there on the page in front of me! Needless to say, I was well hooked at that stage! The Death File is the thirteenth book in the series, and I think Jack Kerley has found a great way to keep the series current and relevant. Carson Ryder has definitely been keeping up with all of the advances in investigation and technology over the years. Listen, without spoiling the plot, I can’t say much more. I will say that I would highly recommend this book, and the entire series too. You can read this one without reading the others though, it works fine. BUT I do think if you like great detective series, you’d do well to start with The Hundredth Man! In New Orleans, Texas Ranger John Q is out of his jurisdiction, and possibly out of his depth. It seems everyone in Louisiana wants to send him home, and every time he asks questions there’s trouble: from the pharmacist to the detective running scared to the pimp who turned to him as a last resort. Before John Q knows it, he looks the only link between a series of murders. So who could be trying to set him up, and why, and who can he turn to in a city where Southern tradition and family ties rule? Infused with the rhythms of its iconic setting, The Contract is a thriller to keep even the most seasoned crime readers gripped and guessing all the way to its endgame. Having read and loved JM Gulvin’s first book, The Long Count (review HERE), I was eagerly awaiting the next John Q installment and I was delighted to have my wish granted on Netgalley for The Contract. The Contract is a slow burning thriller set against the heady backdrop of New Orleans with plenty of shady characters thrown in for good measure. John Q is sent to investigate some goings-on in the wake of a shooting in Texas. In New Orleans though, he is out of his jurisdiction and acting alone. What follows is a tense story packed with plenty of action and mystery. While I enjoyed The Contract, it didn’t match the pace of The Long Count in terms of the way the plot developed. I did enjoy the new mix of characters in this one though, and there were a couple of old favourites in there too. The Contract is steeped in 1960’s American history, and I enjoyed the references the author put in there as they were a nice addition to the storyline. With John Q being framed for crimes he didn’t commit, it becomes a race against time to clear his name. It took me a while to settle into the book, but once I did I enjoyed puzzling it out alongside John Q. If you like Deep South thrillers, with a great main character, then The Contract should definitely go on your list. Tense, rich in location and with a great mix of characters, I would recommend it! Undertow is a gripping psychological thriller. 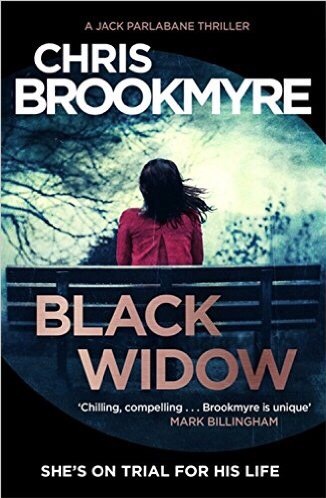 Combining domestic noir with psychological elements makes for a great read. I was hooked once I started reading it, and that’s always a good sign for me! The author has done a brilliant job in portraying the characters and their various back stories. Some of them were also genuinely horrible characters, which made me second guess their motives at times but I really enjoyed the sense of menace and tension that builds throughout the novel leading up to its climactic ending. While I had made some guesses along the way, it didn’t hinder my enjoyment of the book. I think because I read so many books of this genre I seem to figure out some of the plot twists early on. However, in a market saturated with this genre, Elizabeth Heathcote has done well to stand out. 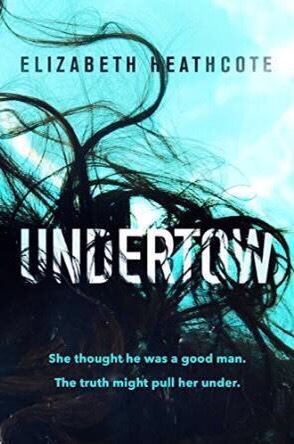 Undertow is an assured and confident book, and I would definitely recommend it. There is no perfect marriage. There is no perfect murder. Within six months, they are married. Within six more, Peter is dead – and Diana on trial for his murder, a nightmare end to their fairytale romance. Black Widow has been on my kindle for a while now so I decided to start it this week and it was an unexpected surprise! Packed full of tension and suspense, I was gripped almost immediately. Doctor Diana Jager was a very interesting character. Strong, mean and dangerous in so many ways, Black Widow was almost a chronicle of her unravelling psyche at times. With more questions than answers for most of the novel, the author has done a really good job of ramping up the mystery surrounding her husband’s death. With the introduction of Jack Parlabane, the book takes a darker turn as he works to uncover what has happened to Peter. I’m not going to dissect the plot for fear of giving away any subtle nuances in the story but it’s safe to say I thoroughly enjoyed Black Widow. It’s an excellent psychological thriller, engaging and full of intrigue, I would highly recommend it! Growing up in the sleepy English seaside town of Brynston, the fearless five – Ella, Max, Corey, Fallon and Zane – were always inseparable. Living up to their nickname, they were the adventurous, rowdy kids who lived for ghost stories and exploring the nearby islands off the coast. But when Max’s beloved older sister Jessica is killed, the friendship seems to die with her. I had seen The Deviants on social media, so naturally I hoped on to Netgalley to see if it was there and lo and behold it was! Requested and approved, I settled down to read what turned out to be a very unexpected book. At about 20% in, I knew I had a special book in my hands. I genuinely could not stop reading it. The story, the characters, everything about it just made me keep turning the pages. The Deviants is a brilliantly written book, full of depth and with so many hidden layers that it became almost a compulsion to try and figure out what was going on. I don’t usually read YA novels, but r=this book is enough to make me want to read all of CJ Skuse’s back catalogue. Max and Ella appear to be love’s young dream, even in the wake of Max’s sister Jess’s death. All is not what it seems though. Without going into any detail, their friend Corey is bullied and what happens in the aftermath sets the ball rolling towards one of the most unexpected and emotional stories I have ever read. The Deviants made me well up, and I can honestly say had I been on my own reading the final few chapters I would have been crying like a baby. I wasn’t prepared for just how much this book would get to me. The tension throughout the book just keeps on building, and you know you’re heading towards something huge, and when you get there it sucker punches you!!!! I cannot recommend this book highly enough. CJ Skuse has written a stellar book, worthy of the early praise it is garnering. Buy it, read it, and weep. 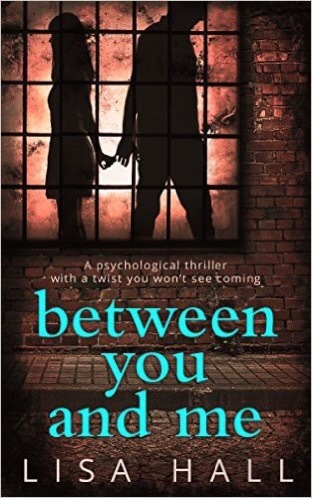 My thanks to Netgalley, Carina UK and Lisa Hall for my ARC of Between You and Me. Between You And Me is Lisa Hall’s debut novel and to be honest, the way it’s written, I struggle to believe that as it’s so well written. Having finished it this evening (Wednesday) I stand by that description. Between You And Me is that kind of book. The one that makes you feel like you’re there, you’re experiencing the emotions, the hurt, the pain. It’s uncomfortable because some of it seems all too familiar, so maybe it has hit a nerve with me in some small way. One thing I can’t stand in relationships is control. You are your own person, not someone else’s puppet. Domestic abuse, in any form, be it physical mental or emotional is despicable. I abhor the behaviour that takes place in this book. It makes me ever so slightly cross when I read about it. But unless you have lived it, you can’t understand it fully. Lisa Hall has written an utterly captivating book. You know from the outset as the prologue hints to something, but the build up from start to finish is brilliant. It’s like when a piece of music starts off slowly and builds to its crescendo. Between You And Me is like that, only with words. Sal and Charlie, for all intents and purposes, appear to have a perfect relationship. However, the truth is far more disturbing. Charlie has a high powered corporate job, while Sal stays home to take care of their daughter, Maggie. Sadly, the life they live is full of abuse. I won’t go into the plot as I don’t want to give anything away. Sufficed to say, this book is one that will stay with me for a while due to the nature of the story. Many of my fellow bloggers who have also read it, have raved about the end of the book. I gave Between You And Me 4 stars on Goodreads. I would highly recommend it. It’s released on March 17th and you can preorder a copy by clicking HERE .